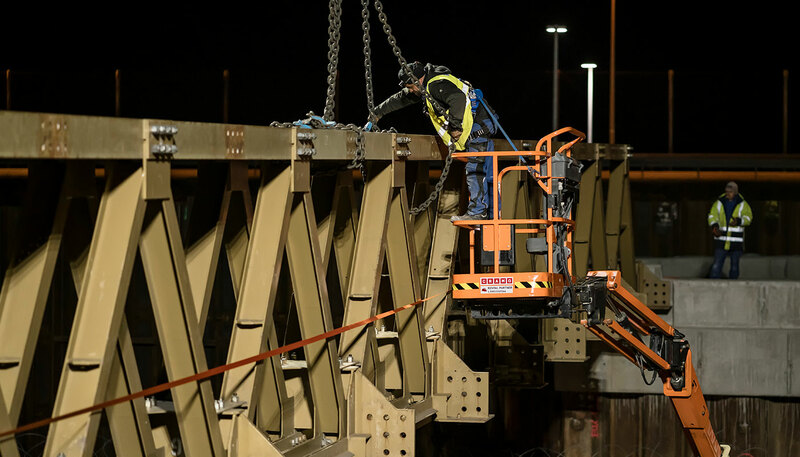 Work continues on the new Terminal 1 pier – impressively highlighted by the auxiliary bridge at the building site access point, built in the night of March 12–13, 2019. 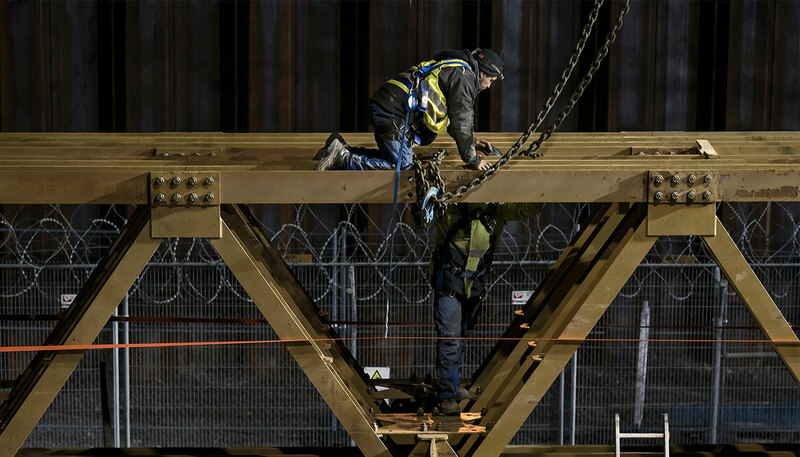 Over 30 meters long and made up of 5,900 individual parts, the structure weighs over 67 tons. 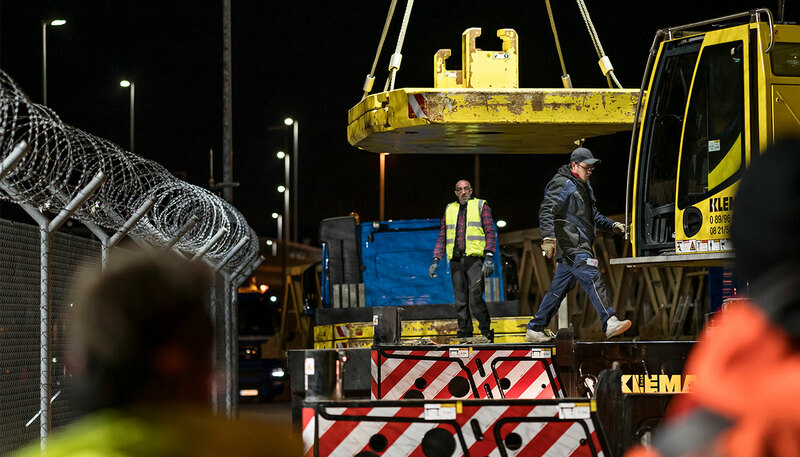 The components, some of them prefabricated, were transported to the airport on three flatbed trucks and assembled in just a few hours by skilled specialists using a heavy duty crane. 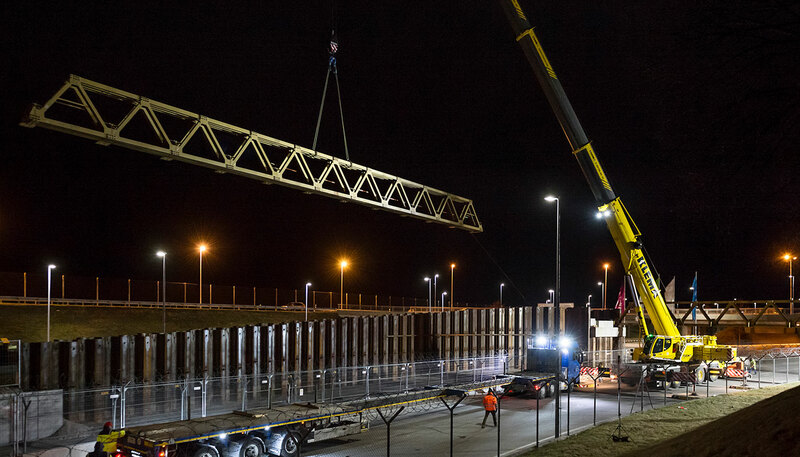 "The two main support walls were erected on schedule by midnight. Everything fit together perfectly," said project manager Christian Pfundmair. 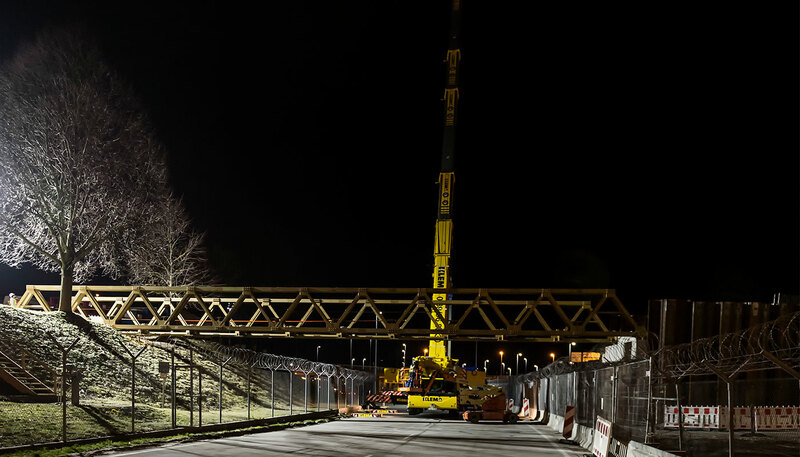 The bridge creates a direct link between the construction site and the north ring road with no impact on vehicle traffic at the airport. 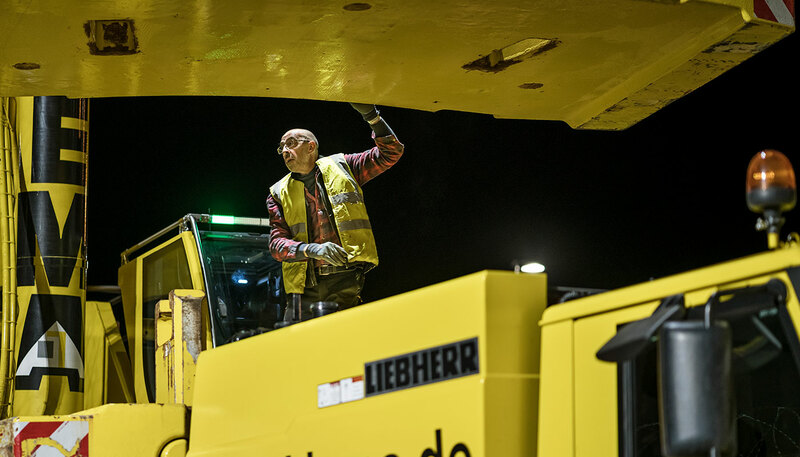 Work on the new Terminal 1 pier poses substantial logistical challenges: The site is on the western apron of the airport and is therefore in the security area. It is fully surrounded by a security fence. 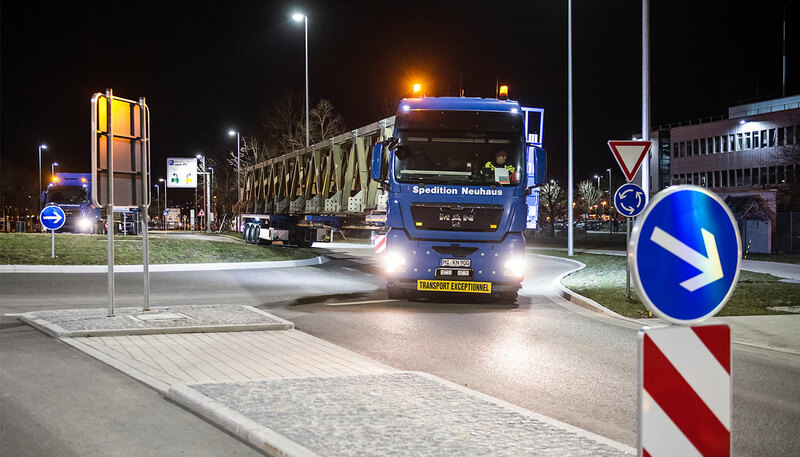 Construction workers and truck drivers have to pass through a special security screening station to enter the site. More on the Terminal 1 construction project.